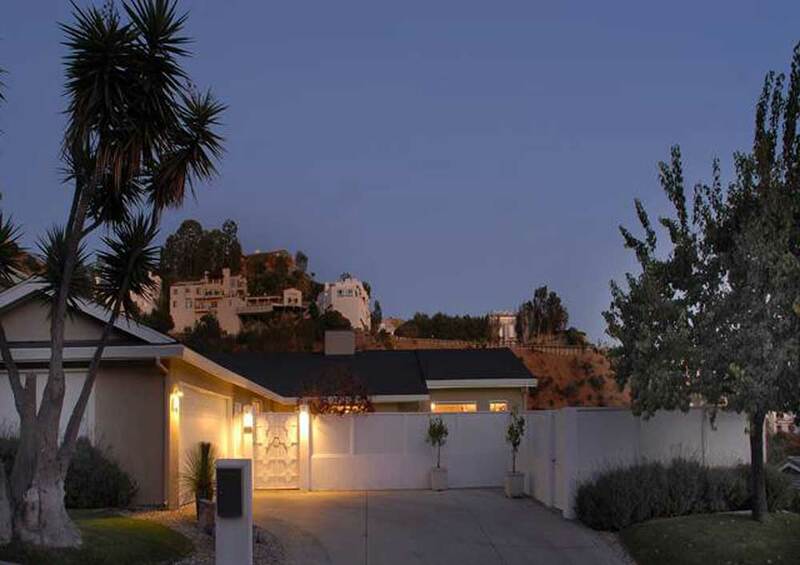 1960 Mid-Century Modern Architectural remodeled & restored by the noted LA design firm of Lehnert & Blaise. Fully gated & walled for privacy & security. Open floorplan, vaulted ceilings, wall of glass, head-on city to ocean views, complete indoor-outdoor feel. Beautiful pool, grassy yard + outdoor dining areas, custom decking, quiet cul-de-sac locale. A done house minutes to the Sunset Strip, Beverly Hills or the “New” Hollywood.